But here’s how books work – everything written on the page has to be said by the person reading it aloud, right? Even if the words say stuff like BLORK or BLUURF! Even if the words are a preposterous song about eating ants for breakfast! And even if it’s just a list of proper goofy sounds like BLAGGITY BLAGGITY and GLIBBITY GLOBBITY! Well, that’s what you can expect from The Book With No Pictures by B.J. Novak – which doesn’t seem so boring after all! B.J. 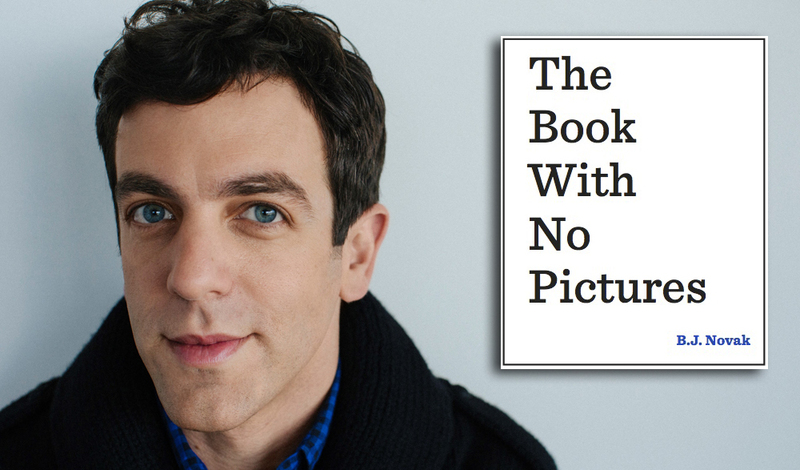 is a big name in America where he stars in the hit TV show The Office and now he’s bringing his hilarious Book With No Pictures to the UK! It’s our Book of the Month this December and we definitely think it’s worth popping on your Christmas list!